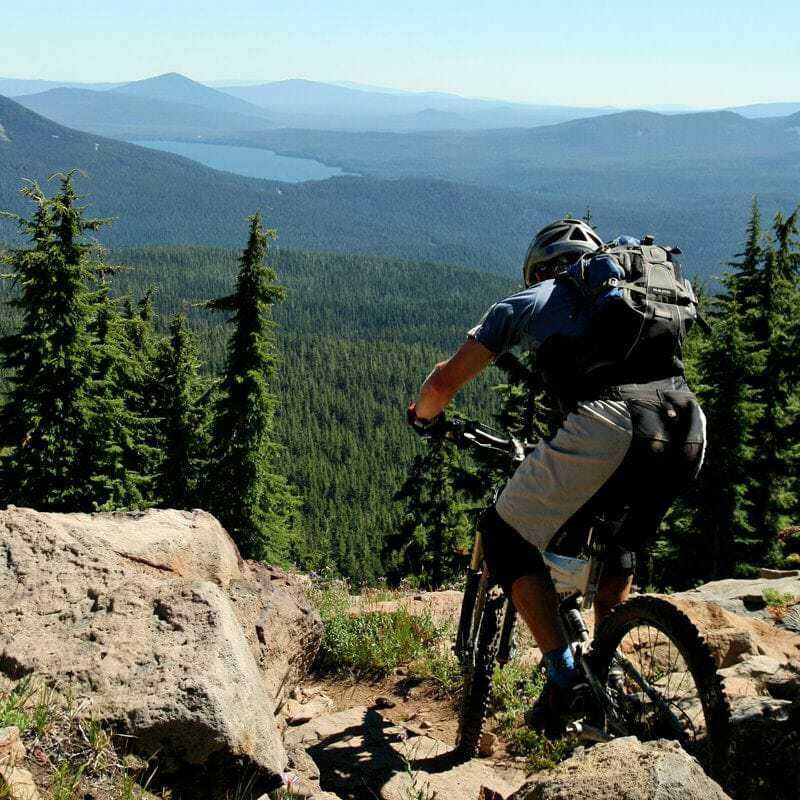 There’s something for everyone on the trails that wind through Central Oregon. 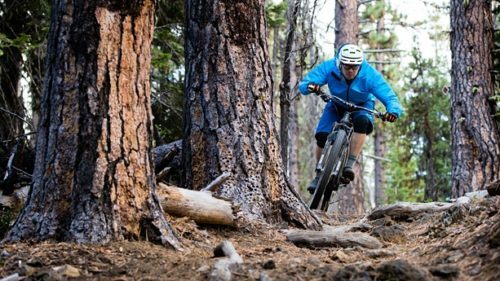 In Bend, dry, volcanic soil makes for smooth and fast riding most of the year. Rolling cross-country singletrack that’s not technically difficult allows novice riders a chance at the good stuff, while still offering experienced shredders plenty of excitement at higher speeds. 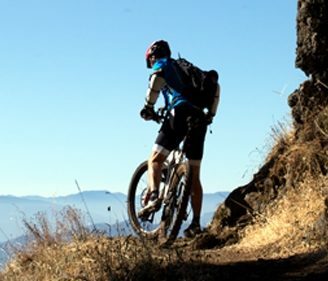 These trails are also great for a wide variety of riding styles and equipment — it’s not uncommon to see a ’cross bike on a mountain bike trail in Bend. 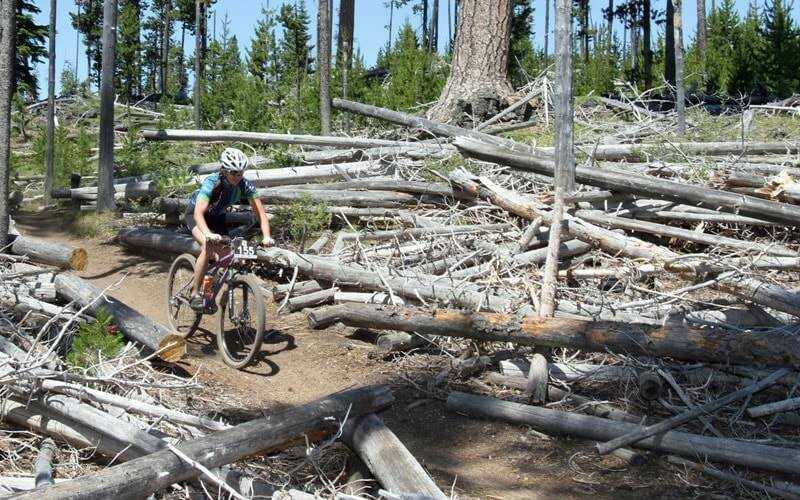 Many Bend-area trails are managed and maintained by the Central Oregon Trail Alliance, a great, nonprofit volunteer-driven collaboration between local riders and the Forest Service — so trails are built and preserved year-round using sustainable land-management practices. Detailed trail information and current conditions can be found at BendTrails.org. 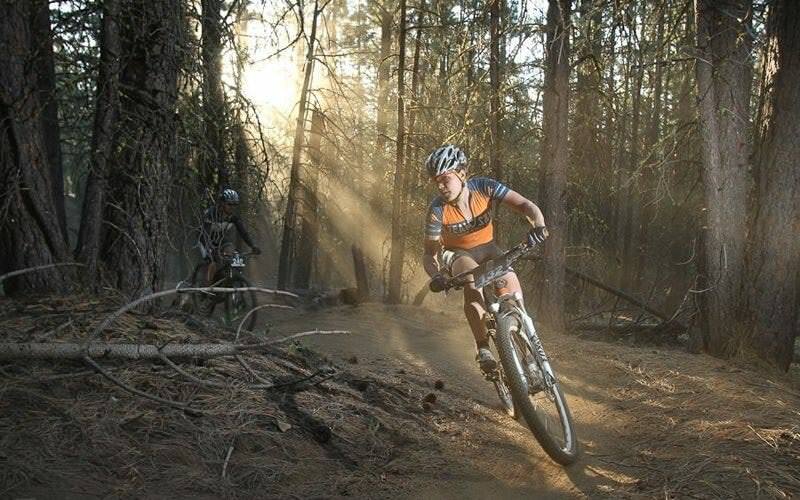 Bend itself offers a fantastic post-ride destination, with dozens of local breweries and restaurants, plus great lodging options. 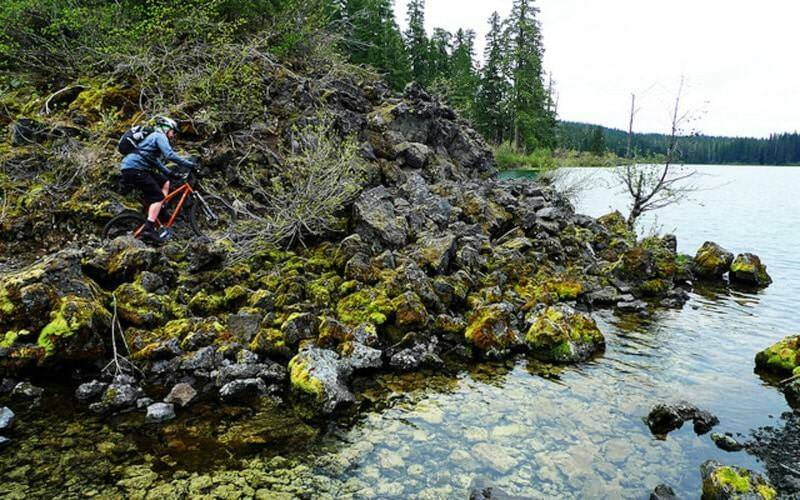 It’s also home to Cog Wild, the only mountain bike tour company in Central Oregon, and several bike shops that can provide mountain bike rentals for your trip. 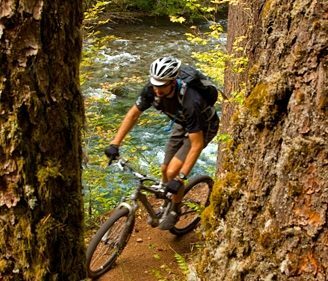 While you’re nearby, make sure you say hello to the McKenzie River Trail, rated America’s #1 mountain biking trail in 2008 by Bike Magazine readers. 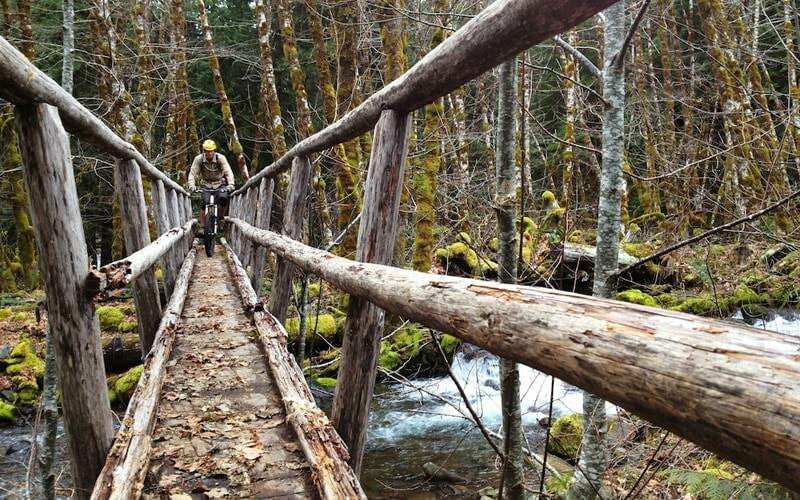 This regional classic offers 26 miles of blissful old-growth rainforest riding at its best. 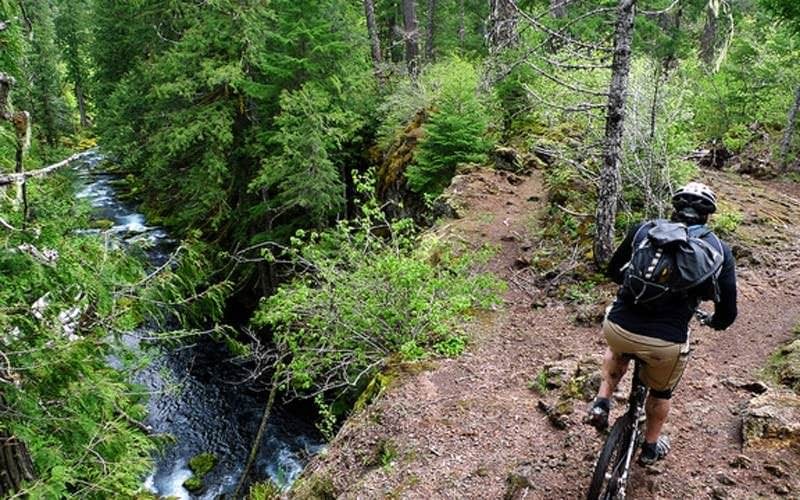 Ribbons of singletrack weave through a mixed-conifer landscape paralleling a wonderful segment of the McKenzie River. 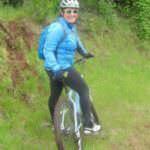 The trail’s relatively modest profile makes for a great full-day ride for intermediate riders. Its terrain is rooty but fast and not too difficult for less-experienced riders. 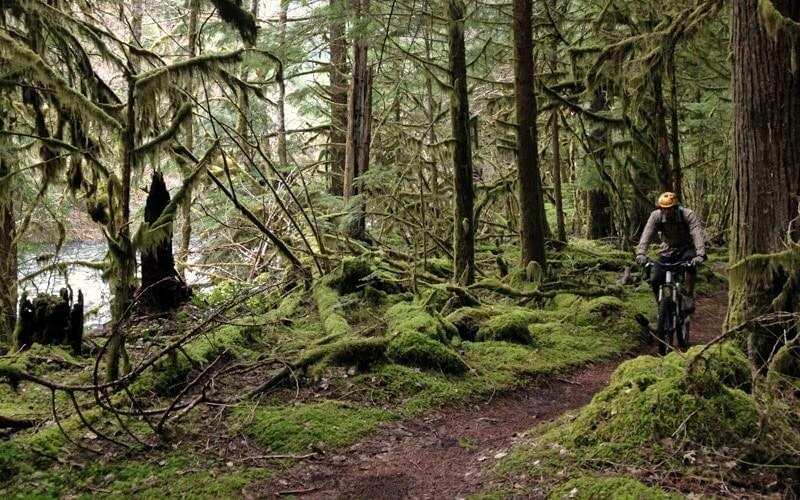 There are many stellar campsites and places to rent small cabins on the river, along with several awesome natural attractions, including the bright-blue Tamolitch pool and the 73-foot Sahalie Falls and 64-foot Koosah Falls. The area also features multiple hot springs — perfect for a soak after a long day of ripping berms. Friendly local businesses offer services such as shuttling, group tours, parking and rentals that make it incredibly easy to jump right into the action.